Tolls can be user fees, depending on how they are conceived and implemented. 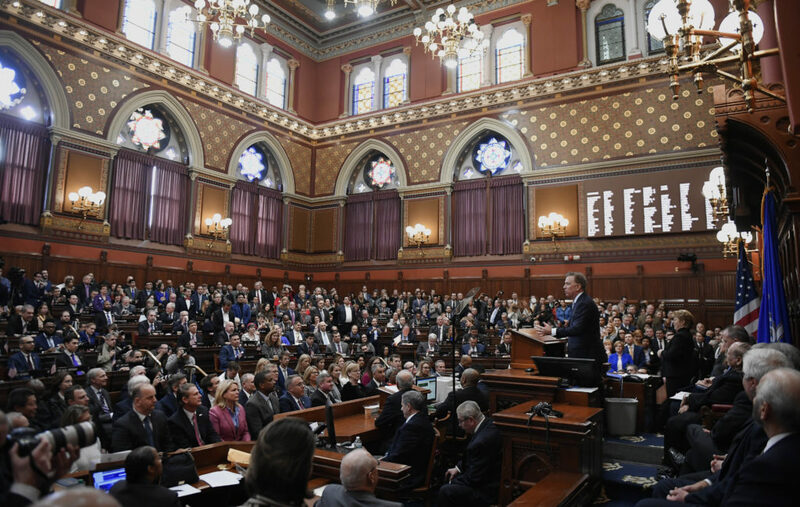 As proposed in Connecticut, however, they will not be user fees, but rather a massive wealth transfer: in short, another giant tax increase. Politicians trying to hide a huge tax increase under another – any other – label is depressing, but not surprising. What is surprising here is that this tax increase will be wildly regressive – taking money disproportionality from the poor to pass it to the relatively wealthy – but is supported by self-proclaimed progressives. This is a user fee: paying $10 per month to Netflix for getting access to all of the programs that they make and movies that they buy, whenever you want to watch them. This is not a user fee: paying $20 per month to the state so you can watch Netflix when it decides to let you, while it gives $10 a month of your money to your neighbor to pay for his fancy cable package. Which of these models does the state’s tolling plan follow? Supporters of the current tolling plans insist that it’s the first – that tolling is a user fee. But they are trying to fool you. They’re really following the second model. A toll-based user fee would arise if, for instance, the state were to build a new set of lanes onto the Merritt Parkway, with the building and the maintenance to be funded entirely by tolls. People who wanted to get in and out of Manhattan quickly could pay as much as it costs to get there on new, uncrowded roads. Everyone else could continue on the current Merritt or on I-95 – slow, but affordable. That’s a user-fee toll. What’s not a user-fee toll? Charging tolls on every interstate in the state plus on Route 15 in order to transfer huge amounts of those toll revenues to projects to speed up trains into and out of Manhattan and to maintain trains – the purpose of which is not particularly obvious – from Hartford to the thriving, pulsing metropolis of … Springfield, Mass. That’s what the governor and the legislative leaders currently propose, and it is a tax, not a user fee. You can tell because it’s really, really easy to construct a user fee for train service: you charge ticket prices that cover the cost of the service and of any necessary maintenance or upgrades. Ticket prices are user fees for trains. Tolls on highways for the benefit of train infrastructure are not somehow user fees for those trains. That’s absurd. So the tolls proposed are not user fees, they are taxes. And they are taxes of a particular kind: they are wealth-transfer taxes. In part, they will transfer wealth from relatively poorer road users to relatively richer train riders. Taxes-by-tolling have another unique characteristic: they are intensely regressive. Progressive taxes are ones that charge higher earners a greater percentage of their earnings than lower earners. So an income tax that charged people who made $500,000 5 percent of their total earnings but charged people who made $50,000 only 1 percent of their total earnings would be highly progressive. The high earner would pay $25,000, while the low earner would pay $500. A flat tax, by comparison, is one that charges everyone the same percentage of what they earn. So a flat income tax would charge everyone, say, 2 percent of their income. This sort of tax would charge the high earner $10,000 per year, and the low earner $1,000. The tax rate is flat, but the high earner still pays much more. Finally, there are regressive taxes. One sort of regressive tax is a per capita tax, under which all taxpayers pay the same fee, regardless of their income. A per capita tax might, for instance, charge every resident of a state $1000 per year for the privilege of working in that state. The reason a per capita tax is called regressive is because that $1,000 represents only 1/500th of the high earner’s income, but 1/50th of the low-earner’s income. This is to say that the low earner’s tax rate is effectively 10 times higher than that of the high earner. The taxes-by-tolling plan that the elected leaders in Connecticut have proposed is, on average, just this kind of per capita tax. And it will be levied, in part, because they want to transfer significant amounts of the revenue from that tax from relatively poorer drivers to relatively richer train riders because they don’t want to raise the price of tickets enough to pay for the train services’ improvements. This is strange, but it gets stranger. The government tells us that it must start taxing-by-tolls because there’s a huge hole in the special transportation fund. But this hole has been created by the governor’s own budget because of his proposal to scrap plans to funnel the car-sales tax to the special transportation fund. Why would he do that? Because he wants to spend that car-sales tax money elsewhere. In particular he wants to use it to continue to fund government-worker pensions and other retirement benefits that are already between one-quarter and one-half higher than what private-sector – especially poorer private-sector – employees can ever hope to earn or to save for themselves. And by adding another nearly $1,000 per year to the tax bills of everyone in the state, he’s pushed the possibility of poorer workers saving anything for their own retirements even further off into the realms of fantasy. So, in sum, the governor and the leaders of the legislative majority are proposing an incredibly regressive tax by tolling so that they can take comparatively huge percentages of the incomes of the working poor, and all so that they can subsidize train rides into Manhattan (and, again, to, ahem, Springfield) and pension and retirement benefits that these taxes will help make impossible for private-sector workers of even very reasonable incomes. So here’s my question: who are the progressives again? And who are these supposed progressives really fighting for?